I don't know about you; however, I know how busy I can get and how many things I have on my plate at any given time. It is especially true with a new business and one that is expanding quickly because it seems like there is no end to the things to do. What usually develops is frustration, or becoming overwhelmed. Neither of those feels very good and most of the time they cripple us from moving forward until we can get past them, reconcile them, or let them go. One thing that helps me a lot is to focus on what I can do instead of what I cannot do. The list of things that I don't have time or energy to get to gets longer every day. Worrying about any of that would be so counter productive. The best thing I can do is to focus on what I can do and begin doing that. Doing what I can do is empowering and productive and effective. The other thing that I've found that helps a lot is to let go and just not worry about anything at all. The world is still spinning on its axis without my help and the sun came up today one more time without any assistance or suggestion from me and it will likely keep coming up long after I'm gone. If I wanted to worry, there would be plenty to worry about, but I have learned that as soon as I feel a worried thought entering my consciousness, I need to let go of the oars and float downstream. Maybe I'll take a little nap, or a walk, or some other thing that occupies my body and thinking for a short time--a diversion, if you will. It is most effective. Then, when I return, I am refreshed and unworried. Has Worrying Ever Changed Anything For The Better? Not In My Life. Spread Some Joy Today--Just do what you can and forget about the rest. Give the rest to God and let go of it. It will all be okay. . . Don't worry, be happy. Isn't it so true how we want to change the world, the other, the system, the outside, and not think about changing ourselves, our outlook, our attitude, our view instead. There's a phrase I love to say when I'm trying to change the world that helps me remember what I'm doing. I say that I'm swimming upstream. I love the analogy of life being like a river and that everything we want is downstream and we just need to not worry about things so much and stop struggling with other people, things and events, let go of the oars and just enjoy the journey. Many of us have been brought up with the philosophy that the struggle is important and that without the struggle, there can be no true success. Just as in body building, they have that silly phrase, "no gain without pain." So, we've been brought up to have this work ethic where we "make" things happen, because there is no real success or gain without the pain and struggle of work. I used to believe that and live it. I'm thinking now that I've accepted an idea that just never felt quite right, but I just kept on doing it for so long. Now I'm thinking that the struggle and/or pain is entirely self-inflicted and needless, or even self-defeating. What if we went back and did it all over again, but this time we decided to let go of the oars and experience the journey with eyes wide open? What if we adopted a single goal in our daily lives of experiencing as much joy as possible? Some would say (because I've heard the argument) that nothing would ever get done. But, I'm not accepting that premise either. Joy doesn't mean that nothing gets done, what it means is there is no struggle or pain! When you do what you love to do, there is copious amounts of joy. Having a passion for serving others can be so effective, rewarding and yes, even profitable. Truth is, we can't rewind and start over, and the good news about that is that we don't need to do that because we can change any time we decide to do so. And, it is in the changing of ourselves instead of everything outside of us that will change everything in our world just by accepting that premise and responsibility. It Is Not An Idealistic Idea, Just A Better One . . . Spread Some Joy Today--by playing with the idea that you can have joy every day, even all day if you choose to. It's empowering. Then we must show our appreciation for knowledge." If we want our employees to value customer service, then we must show our appreciation for customers. Whatever we want others to do, or value, we must lead the way. I remember my parents telling me when I was young, "don't do as I do, do as I say." You see, that doesn't fly very well. In one ear and out the other, and even more than this, it causes a lowering of respect for the parent, boss, teacher, spouse, or other. I encourage our team to read books or listen to audiobooks because I know it will be of great benefit to them. At the same time, I lead the way at least 10 books ahead of them. I value and appreciate knowledge and lead by example. It works better too. My parents told me not to smoke as they were puffing on their cigarettes. They did a lot to try to discourage me, but it was just a more of the don't do as I do thing. I used to see that at work where the manager was saying to do a certain thing one way and then he doing it another, and so on. There were numerous situations where that applied and it never made any sense. Better to not give any advice than to say one thing and do another, yes? Spread Some Joy Today--Forget about what others are doing or not doing and just focus on what you want and how you want to be. There's so much more joy in that. amongst those in touch with it." that whatever you do doesn't matter." Who cares? I don't give s**t! It's always something! Just when I start to make some headway, this crap happens! No matter what I do, they are never satisfied! These and a long list of statements like them are full of anger, frustration, overwhelment, and even depression. I've said them all and more. Many times. You? The problem as I saw it was that things outside of myself that I had little or no control of were always messing with my plans. It was a learned helplessness that took over for a time when I felt (this is a key word) that no matter what I did, I couldn't seem to get very far ahead. The American financial dream was looking more like a dream all the time no matter what I did--or at least that's how it felt much of the time. So, I would feel low for a time, blame and complain, mourn and lament, realize that no one cared that much about how I felt about it, then I would eventually buck up and go back in and fight some more. At the same time, I wanted something more and studied and dreamt of the day that I could have more control and have a smoother ride through life. Though I took two steps forward and one back, I still made progress enough to feel like it was indeed progress. This went on all of my life and careers until just a short time ago. What changed? It isn't the economic times, for we have and are still in one of the toughest on record. It isn't my bank account, for that has seen better days. No, it isn't anything at all external to me. It is internal. I changed my reaction to the things around me, or rather, I changed how I thought about things, which changed the way I FEEL about it. Now think about that. How we feel about what we are going through is the determining factor in our response, reaction and attitude. Ask a few key questions. Is it possible to feel good, hopeful, and even joyous and be broke? Is it possible to feel good, hopeful, and even joyous in being fired? Is it possible to have your world as you know it crashing down around you and find things to appreciate regardless? The answer to that is a resounding yes! Since it is possible, then if we choose to change our thoughts enough so that we could feel good, hopeful and even joyous, regardless of the external things going on around us, our life would shine and smile and laugh as if everything was perfect. Since practicing this change and continuing to practice it now, my life is blessed and full and awesome and perfect now. It is only my choice of how I look at things and they look mighty fine. If I Truly Believe In God, What In The World Do I Have To Be Worried About? Spread Some Joy Today--Love yourself first! Feel good. It is from that place that you can benefit others by loving them. "I never blame myself when I'm not hitting. that I'm not hitting, how can I get mad at myself?" The Good News About That Is That There Are So Many People And Things . . . Spread Some Joy Today--How about not blaming anyone, including ourselves? Without blame, it would be a kinder, gentler world! joy follows like a shadow that never leaves." in the soil of appreciation for goodness." be happy that the thorn bush has roses." I ran across a rather cynical, yet functionally true statement about negatively charged people: "Man spends his life in reasoning on the past, in complaining of the present, in fearing the future." -- Antoine Rivarol. I can so relate to that quote by Antoine because I was taught this, the TV taught it, all my friends taught it and it was just accepted as the way life was--with sprinkles of happiness here and there. Complaining and blaming is a national pastime in the U.S. and you only have to turn on the radio, TV, or open a newspaper to see that clearly. It is so widely accepted and common. Yet we all know when we think about it, that it doesn't help us, but we don't bother to change it. Turn your focus away from the problem. As we focus on the problem (complaining), we attract more of the problem and problems. We simply have to stop looking at and talking about the problem. Spend 5 seconds on the problem just to acknowledge it is there, then move away. Next, instead of focusing on the problem, which is what you really don't want, change your focus to what you do want. Imagine having what you want and put all of your energy and attention there, and completely ignore the problem. Feel what it feels like in your imagination. Next, begin to appreciate anything and everything that you possibly can. Write down the positive aspects of things and people in your life, including yourself. This may take a moment or two of effort, but once you get it going, you will be amazed at the positive aspects you can come up with. As you focus away from the problem (what you do not want), and then focus in on what you do want, or the way you would like things to be, and begin appreciating the positive aspects in your life, I predict there will be massively good changes in your life as you continually practice this simple strategy. This strategy is now something that I practice all day every day without fail and it is making a huge difference in my joy. I've said it before and will say it again: I've had more joy in my life in the last two years than in the prior almost 60 years. That blows me away to think about that change. I find joy every where I look and in people I meet and I spread joy where ever I go now. Better Late Than Never! Old Dogs Can Learn New Tricks. It's Never Too Late To Change. Spread Some Joy Today--Make a decision today. Decisions are powerful joy creators! "85 percent of the time I try something, I fail." It is a common thing to not want to try because of a fear of failure. As a sales manager for over 40 years, I've seen that in many sales people. Many don't think they are good enough, smart enough, or experienced enough, and so many lack personal confidence in their own abilities. These are the ones who come and go. They fail mostly because they fail to try, and they fail to try because of what they believe about themselves relative to their environment. When I see a quote like the Bill Gates quote where he says something so strange as that 85 percent of the things he tries doesn't work, I think of all those sales people who lacked enough confidence to even give it a chance of success. If a person who has reached the pinnacle of financial success says he fails on 85 percent of the things he tries, that should be a good quote to carry around with us to remind us that if we are willing to try more, we can join the elite who win more. What we focus on with Bill Gates is the 15 percent that he claims as his successes. We didn't really know they were only 15 percent; instead, we thought he was so smart and so lucky to have made all the right decisions and made them at the perfect time; that he was brought up well and that he graduated at the top of his class. Instead, he was a college drop-out, seizing an opportunity in business based on a dream of what could be and how he saw the future in his head. In other words, he tried; he risked; he dared. History is full of very famous people that we think were successes all their lives, lucky beyond our imagination, and at the right place at the right time. In my study of so many of these famous people like Conrad Hilton, Abraham Lincoln, Andrew Carnegie, Harvey Firestone, Alfred P Sloan, John D Rockefeller, Henry Ford, Thomas A Edison, and many more, I have found that they failed far more than they succeeded, that they did not get lucky, that they struggled many times, made serious mistakes, and more, but the common denominator among them is that they believed in what they were doing, where they wanted to go and they tried a lot of things, thinking not of the possibility of failure, but of success. Many were like Bill Gates in that they tried a hundred things and eighty five of them failed. But they weren't really failures were they? Those 85 things brought them closer and closer to massive success. That is the single difference I have found among many famous and successful business leaders--they tried a lot, kept trying even when things didn't work out the way they hoped, and succeeded as a result. Success is so much more a matter of perseverance and belief than anything else. This can give us all a great deal of hope. Try. Pay Attention. Adjust. Try. Pay Attention. Adjust. Try. Pay Attention. Adjust. . . Spread Some Joy Today--Get excited about what you can do with what you know and what your upbringing is. Get excited about who you are, that you're smart and fun and interesting and bold enough to try, and wise enough to keep trying. You are always better than you think you are. Let it be. take any of what's happened too seriously." I used to take life so seriously and focus on the problems, worry about the future, and generally live in a lot of frustration and disappointment. I've learned that it was all just in my head, or rather just my own thinking that caused that, not other people or events. Life hasn't changed from 10 or 15 years ago really. We may have more technology or something, but basically life remains unchanged in that there will always be problems, other people doing or saying what we don't want to hear or see. So, waiting on the world to change is pretty much pointless. The only thing left is me. I have learned that I have the power to change myself. Desire is another issue, and I do have that; however, we all have the power, yet many lack the desire to change. One of the things that has helped me change my thinking is to have fun, or enjoy the day. Traveling between appointments is a good way to see and enjoy the weather, the hustle and bustle of the traffic, the music, or whatever. At the appointment, I find it joyful to talk with clients and learn about them and their businesses. I love talking to our team members, sharing success stories, insights, ideas. I love looking through YouTube for videos to blog about, dealing with other social media on behalf of our clients and myself. The technology of communication in today's world is absolutely fascinating to me. So many brilliant minds out there working on this stuff and sharing it with all of us. I love writing these Daily Inspirations. Sometimes I am doing them competing with the clock to get it done as tonight, but it is always fun and enjoyable and rewarding--and, frankly, I learn a great deal by just sharing my thoughts and experiences. I love--no--I absolutely love creating my own schedule. If I am tired and want to take a nap for an hour, I just schedule myself in. I take breaks. I open the windows and enjoy the weather while I work. It's all fun for me now. It is really a joy and a privilege. That newer attitude of enjoyment wipes out stress and worry. There's nothing to worry about when you're having fun. It's all good, you know--if you want it to be. Spread Some Joy Today--Decide to enjoy everything you do from now on. I predict you will. I know you can. few wants, and to serve them one's self?" A movie that I hadn't seen in some time which was made in 2006, came back to my attention and I have watched it again with great enjoyment and moved it way up my list of favorites. The movie is Outsourced. I think it is a great movie and there is so many lessons in it. I consider it a masterpiece of moviedom. Take a company outsourcing an entire department, sending one VP to oversee the training of the new group in India and mixing the culture of the US with that of India and then throw in a bit of romance for effect, and there you have the basis. There are a few things that really stand out for me in this movie. One is that fighting a situation is counter productive for everyone involved. It's like happiness. It cannot be fought for, it must be surrendered to. He went there to train them to understand America so they could do their jobs, and he found that until he learned India, he would make little progress. Once he relaxed into learning about India, or rather allowing it to become part of him, he could make so much progress that people back home thought was impossible. Another thing was the culture shock of going from Seattle to India and how it was numbing in some ways, but once he relaxed into accepting and participating, the shock became a comfortable, confident calmness. He didn't have to give up being an American, just quit fighting the situation. In other words, go with the flow. I think, how can we relax in our daily situations at work in order to entertain the happiness that is there for the relaxing? One way is that there are other ways of doing a thing, and other ways can be successful and not look the same as we think they should look. We don't have to be right. I thought this after watching the electrical magician who saved the day by rewiring the building in 20 minutes. Amazing. Another thing was the motivation of employees. It is not so different around the world. We're all human and have the same human desires: respect, dignity, encouragement, acknowledgement, laughter, love, and much more. Just a few of the many lessons and insights I gleaned from this great movie. And it was fun all at the same time. I like those kind of lessons. . . Spread Some Joy Today--Do something today that you really enjoy. Maybe a long lunch at a matinee movie, or dinner out, or go kart racing. . . just for the fun of it. You know, I've gone past this quote by Will Rogers several times and didn't think anything of it and then today it leapt from the page. What a brilliant quote! I cannot think of a better way to say that theme and in so few words as well. When I think about it, I can see how much of my today's I have spent thinking about yesterday--and even more, perhaps, thinking about yesterday's potential in tomorrow. It makes me wonder how much of my today's were actually spent in that day instead of the past and future. This quote helps me by being even more aware of what I am thinking today and how that relates to the results I get, or the situations that come up. It's funny how in the moment--I mean, truly in the moment--how the past and the future mean nothing. So many worries used to grip me because I had no strategy, no comprehension of my own thoughts. Now I practice with a different strategy. Awareness Is The Beginning Of A More Fruitful Life. Spread Some Joy Today--Go watch a YouTube funny video or StupidVideos.com. Laugh for a few minutes. It is a wonderful lubricant for the dry day. If you don't have any problems, you don't get any seeds. . ."
grapes or sorting the laundry." I used to define joy is in jumping up and down, or thrilled with excitement, and such. I have come to know joy so differently now. In allowing myself to experience it, I find so many different levels of joy. I love what E. B. White says about sorting the laundry. It reminds me of a neighbor we used to have who absolutely loved to iron clothes. It was something that gave her joy. I don't understand it, since ironing clothes to me is work with no real fun and little enjoyment. Isn't it interesting how we all love to do things that perhaps most of the world hates doing? I think it's fascinating. So, we can find joy in doing something we enjoy. That's always a great way to get into joy. Yet, I have found an even simpler way and as Marianne Williamson says, it has no cost, and I add that it also requires no effort. Instead of effort it is quite the opposite--it is in letting go, relaxing, being unconcerned. I've learned to practice it in a lot of small ways in various circumstances. For example, I just took a long connecting airline flight and I used it a number of times on the airplane, in the airport, and any time that I began to feel a little tense. I would just close my eyes for a few moments and relax all my muscles and just pretend that I was holding on to something and now I am letting go of it. It is amazing how well that works and it costs nothing and takes no effort. I find myself smiling inside. It may be happening on the outside as well, and it certainly feels like it. I am certain that that state of being has a positive and calming effect on those who happen to be near me. How fun and interesting this practice is. Practice Relaxing In Between. It's A Respite. Spread Some Joy Today--take a few 30 second respites today. It doesn't take much. This very famous quote by Teddy Roosevelt is in my list of top ten quotes. I used to look at it and think of some person who became famous by going through. I never thought about me in it. I guess I never thought that it applied in my life since my risks were relative and somewhat calculated, and indeed, so many of them had an exit strategy which is a sure sign of limited risk. That has changed. Now I get what Teddy was saying and it applies in my life of late and it is interesting to look at it now in such a different light. I was with my main partner in our 3 year old business today calling on some clients a distance away. Today (yesterday, as you read this) was the 3rd anniversary as he reminded me of his decision to accept my offer and we came together as equal partners. We had a plan. Then we had plan B, C, D, E and made up some more. We have adjusted and tested and experimented and have had successes and a few of those other things. It has been an interesting journey thus far and the truth is that we are yet in the middle of it somewhere. After he reminded me of this momentous date, I realized and stated that we are both more committed and more enthusiastic, more energized and even thrilled today than we were in the beginning, and the progress is clear and growth is evident. What is more important to me is the change in thinking that has taken place in me. I now know what it is to risk greatly; however, the change in thinking means that I don't look on it as risk, but just a journey of joy and learning and growth. I don't stress over anything and just keep moving by putting one foot in front of the other again and again, and we both are doing it along with our team. It is very exciting. What is also interesting is that success is assured by all of that, for the doing of it is the success. Risk And Reward Have An Interesting Relationship. Spread Some Joy Today--Risk copious praise on many TODAY! that we are among the privileged." When I saw this quote, it made me think of President Obama's news conference the other day. It was not even 24 hours after one of the largest earthquakes ever recorded with a devastating tsunami in Japan and spreading around the pacific. He spent approximately 1 minute about that event, and then turned to try to soften the concerns of rising gasoline and propane prices in the US. I stopped listening after many minutes. I suppose that was a good time to bring up the rising prices issue so we could all compare our losses with others around the world losing somewhat more. We are only something in comparison to something after all. It is all a judgement call. I don't mention this as a political issue, but just one that was an interesting example. We do it all the time in various ways, and it is okay. I think that the only thing to try to keep in mind is that having more or less than someone else isn't really very important in the long run. What is important is how we feel about what ever we may have. People can be rich today and lose it all and be flat broke tomorrow, or they could be destitute today and win the lottery tomorrow. Fortunes can change quickly. Health can change quickly. Natural disasters can change things very quickly. How we react and how we feel about all those various points of being is what makes or breaks us. We can choose joy at any point, under any circumstances, and we can choose any other feeling as well. Ultimately, who we are and have become dictates that choice. It is not anything external to us. Empathy And Sympathy Are So Very Different. Spread Some Joy Today--Rejoice in your experience of life. It will after all make it a life worthy of living. and partly the accumulation of experience." "Successful action is cumulative in its results." Any experience adds to the whole, thereby making each leap forward from a new perspective. This is reason enough to get excited about what we are doing right now. What we are doing right now will certainly add to the whole and make our next adventure easier and more fruitful. 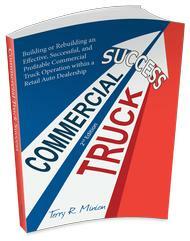 I started a commercial truck operation at a dealership in mid-1989. It grew very slowly at first, but we kept moving and focused on activity knowing that results would take care of themselves. It was true and we grew then much more rapidly and it became a very successful enterprise. It was also a learning experience, and experimental station where much was tried and less was proved, and much was gained as a result. Four years later, I started a second commercial truck operation at another dealership, except this time, what took four years to achieve with the first operation, took only about a year at the second. I carried all of that learning, knowing better what to do more quickly and efficiently in the second operation. This then expanded somewhat further than the first operation. In addition, the accumulated learning from many years before in things I gained experience in was instrumental in making both commercial truck operations more successful. I have found this to be true in all situations and I am thankful for the learning opportunities. It has also given me a great deal more confidence to start again not being concerned about starting over, but starting from here. If we looked at everything we are involved in this way, it would make for a happier disposition in general and especially in transitions planned or unplanned. Where We Are Is Somewhat Further Along Than Where We Were, When We Pay Attention. . . Spread Some Joy Today--find joy in learning and growing. It will be of service down the road. People complain, don't ya know, and many of them complain most all the time. Having been in that group for such a long time, I do know it well, and Mr Dumas' quote above is so perfect and so, so true. In recent years, I find a bit of fun with it. Airports and airplanes are good places to find lots of complainers. It's the weather or the missed flight, the bag problem, charging for the bags, just peanuts and crackers, de-icing the plane, delays, the lousy food at the airport, the price of the food at the airport, and oh my goodness, the list goes on. What's really fun is while someone is complaining about one of those scenarios, just be so calm and cool and collected and how those kind of things just roll off you, because they are trivial in comparison to real problems, and so on. Even better than this is to state positive things about your airport and plane experiences and how they just keep getting better. They stop complaining pretty quickly. What's really weird is to start conversations with people by telling them how grateful you are that things are going so well, that good things always seem to happen, how interesting the changes have made the trip, how much better things seem to get and so on. Pretty soon, you hear the sound of no one listening. Not so many like a praiser, but complainers they like better. It's a funny world in this. . .
Uppers and Downers. Hmmm. I Choose Upper. Spread Some Joy Today--find something good to say about everyone you come in contact with today. You want to really be bold? Tell them. huge opportunity for more business." It wasn't something that I learned quickly, but slowly I began to look upon complaining customers as an opportunity. In sales training, I would state that until a customer complains or has a problem, they really don't know how you as a person or as a company will perform. If the complaint or problem is solved smoothly and efficiently, the customer then has the opportunity to not only know for certain how you or your company performs, thereby gaining in trust, but they also have the opportunity to become an advocate and help you grow your business. It's not like we want complaints, but I think we need them. I know this, for sure and for certain (always loved that phrase. . .), that I would much rather have a complaint than a customer feeling poor about our company or performance and then not saying anything at all to us. The likelihood of that person saying poor things to a lot of other people is strong. I prefer to hear it directly--even in my face, so to speak. This is not a theory. It has proven itself consistently over time and in operation of several businesses including my own. Since this has been true, I find myself looking forward to complaints--at least from that perspective. This has also been proven: in an extremely high percentage of those that complain, regardless of the size of the fault, they then become advocates and do more business and send more business. Seriously true! From that perspective, I LOVE COMPLAINTS AND PROBLEMS! Now, the key is how the problem or complaint is received and how smoothly it is retired. There is no room for making excuses, blaming others and so on. We must accept it head-on by accepting responsibility for taking charge of the solution and care of the complainer at the same time. It's really no more than the Golden Rule: Do unto others as you would have them do unto you. If we had a problem or complaint, we would want prompt attention to solution, and we would detest blame and excuses, don't you think? I suppose we could say, success is dealing with problems--effectively. "Problem Headquarters! We Got Some Love For Ya!" Spread Some Joy Today--Get excited about opportunities to help people and solve problems for them. There is a certain joy in that. norm is just something that has evolved over time." I am in constant awe when I consider nature and when I consider some of the things man, or humankind has done. A perfect example of something that wows and awes me is communication tools like facebook and other so-called social media sites like Twitter, LinkedIn and more. Now YouTube is considered a social media site as well. As a history buff, it is easy for me to just look back a few years and see how dramatically the world has changed in the way of tools and environment. Less than 200 years ago, it was a 3 mile per hour world. Now, thousands of planes every day fly in excess of 500 miles per hour, we have space ships exceeding 25,000 miles per hour and we have only scratched the surface of speed. It was less than 120 years ago that the typewriter began use. The automobile is just a little younger. Modern, cleanly medicine is younger still. The airplane is less than 100 years ago. The copy machine is a baby in comparison. The stereo and television are similar. Heck, color TV is very young. Personal computers are less than 40 years old. If you count when they became more widespread in use, they are less than 30. The Internet is so young it is mind-bending to think of what it has become in the short time it has even existed. Websites would not exist without it and now there are billions of them. Then I come to something so interesting and powerful as facebook. There were social sites before it, but it is a game changer. Now the buzz in all business circles is facebook and how it can benefit a business. There has yet to be a tool quite like it. It is unique and being copied in concept at hundreds of sites. What a wonderful time to be alive! So many things going on, making life better, providing maximum value. What a joy to use a tool like facebook even for what it was originally intended for. It is the popularity of it that makes it a success and it is the value of it that creates that popularity. Thanks Mark. It's a wonderful world, and you helped it to be a bit moreso. I'm In Awe Almost Constantly Now. Sure Joy. Spread Some Joy Today--Find something or someone to appreciate and then do it. them by the blade or handle." talk about them as if they do." The other day, I walked out by the pool and it struck me suddenly that my eyes do not see. My eyes only receive. They are not active in seeing as a task, but are receivers. As I thought about that sudden thought, I realized it was true because at night, when I cannot see very well, I would be able to see if my eyes actually saw. Light wouldn't really have any effect. As it is, my eyes reflect the light available and the mind then interprets that data to create vision. What ever we see, we interpret and make judgements in our mind, which is ultimately what we see. I realize that I'm tickling this idea, but I do have a point. Then, a couple days ago, someone told me how they have so many things that are causing stress in their life. I didn't swim upstream with the person, for that would be pointless, but I thought about that concept and it made me think about seeing again. We take data into our minds via the physical senses, and then we interpret that data by comparing it with what is in the memory, and making judgements, which causes our view or individual interpretation of what we are experiencing. Some might interpret that as stress, or pressure being applied without our desire or permission. As long as this is the case, that person will always be blaming external circumstances, events and other people on what they think, when the ultimate reality is that this is not actually possible. It is really a choice, regardless of how poorly it serves the chooser. The one thing that separates us from everything else is our ability to choose our thoughts, or to interpret our thoughts based on an experience. The only question worth asking at this stage is our thoughts serving us or cutting us? We get to choose the handle or the blade. Stress Is A Personal Affliction. Spread Some Joy Today--Let go and let joy. Wow! That was easy! can thread a sewing machine while it's running." Starbuck's just turned 40. Who would have figured? As a late Starbuck's advocate (approximately 5 years ago), I was amazed to hear they are 40 years old. Their humble beginnings obviously lasted longer than their meteoric rise to stardom. Some like to say, "it's not about the coffee. . .", and of course it is really, but it's not, is it? Well, I love the coffee, and I've had Peet's and many other coffee names, and they are all good. So, I love Starbuck's coffee, and I don't love it more than I love the Folger's or Hills Bros. I drink at home; however, except in the morning at home, I wouldn't go out of my way for the stuff at home, but I certainly do for Starbuck's. Maybe I do love it more. . . nah. I agree that it isn't about the coffee. What Starbuck's did was create an environment to which coffee was a separate and welcome delight. It is indeed the experience that is what I see as Starbuck's success. When it comes to that experience, except for a few locations where the music is just a tad too loud, it is superior. I go there for coffee, but in the last three years, it has become an offsite meeting room, Internet cafe, and half hour to an hour respite from the hustle bustle of the world. It is a treat. I love stopping in for my usual Grande Latte, while I enjoy reading on my Kindle or checking email. It has become a consistent meeting place and everyone seems to know where the Starbuck's are in their town or city. It's easy and efficient. The Wi-Fi is easy and helps make fast work of using the Internet for a few minutes. And, Starbuck's is yet more. It is a learning experience to watch it's growth, and how they do things. Take that information and apply it to your own business. It will apply pretty much anywhere. Think about a car dealership, for example. It's not about the cars, it is the experience. It is isn't it? It is what makes the difference. It's not the price either. Starbuck's isn't cheap, but successful seems too calm a term to use. I think there are so many ways to compare what Starbuck's has done and have it applied and benefit our personal lives and our business lives. It's The Consistent Experience. . . Spread Some Joy Today--try loving those cranky, impatient people in line. . . it takes some extra love sometimes, but worth it. It's the experience. the person you're alone with." Do songs have an effect on our philosophy and thinking? I say, absolutely. Two reasons: one is that music affects the whole mind, not just part of it in comparison with speech alone, and two, the repetition of the songs in media, and in our own playing and replaying the ones we like so well. What we like about them is complicated, and much of it is the sound styling. I remember when I was a teenager, the Beatles were the number one group. We couldn't wait to get the next album and we would listen to them again and again. We began singing the next song no matter where it was on the album because we pretty much had them memorized. I'm sure I could state some lyrics and leave part of it blank and you probably would have no trouble filling in the blank. Can't live any more. . .
Poor guy. . . but he's not alone. If you check the lyrics of the most popular songs in the world, many of them have this same theme. Movies too: "You complete me. . ." I used to lament similar things, and perhaps much of it was from the training of thousands of hours of listening to sad lyrics of unrequited love. Then, I thought how silly that all is to allow others that much power over us. I'm all for love and sharing experience with someone you love and want to be with, but the whiny can't live without you stuff will no longer do. And, the only thing that changed in my thinking about that is that I realized that I cannot allow others to control my happiness because they do a terrible job generally. One day they love you, the next you aren't meeting their expectations and you're slipping down their most loved list. However, if I love myself first, I will attract someone that is more a match to that and then there is something worth sharing. Love The One You're With . . . 24-7. . . Spread Some Joy Today--Smile. God loves you! You're covered. miserable, than risk being happy." Someone said to me that they have very little joy in their life. I said that the good news about that is that you can start right now having joy. Then, I heard the BUT list, and after several buts, I decided to continue on my journey away from them. And it is true, you know, that joy is ready, willing and able to be a part of our lives any time we decide we want it. That sounds easy, and I know for some this would be too simple, so I'll share some ideas that have worked extremely well for me. In the past, I rarely had joy and now I experience it many times every single day--and I have found so many different levels of joy as well. First and foremost is deciding I want joy. Some people say they want it, and they don't really mean that. Decide to have joy and lots of it. Second. The fastest way to joy is to suspend judgment about all the things that I don't like. Do it at least for a short time as a test. Third. Once judgement is suspended, then the trick is to focus on what helps me feel better. It really doesn't matter what it is, or who it is. It can be a thought from my past, the view out my window of the trees swaying, a dog wagging its tail. Just focus on things that encourage us to feel better, however temporary. Fourth. Practice it constantly. If it works for 30 seconds, it can work for 5 minutes, and then 30 minutes, two hours, and so on. If you practice it enough, there won't ever be any problems that create unhappiness again. It will just be a temporary bump that is navigated more and more easily as time goes on. That's it. It's just a matter of deciding to feel good and finding ways to do so and also avoiding things that don't feel good. It really is that easy. Happiness is an inside job. It is not something someone else can give us, it is something we choose to give ourselves. If our happiness depends on external circumstances, events, or other people, we are doomed to an unhappy life. Once that is a habit, the BUT list gets longer and longer. It is okay to feel good regardless of what is going on. Who's in charge, anyway? There Is No Pursuit Of Happiness. It Is Just Choice. Spread Some Joy Today--decide to be happy today. Find things that help you feel good. Pull out some photos, think of someone you really love, dream about something that feels great. It's all good. Yesterday, I had an issue to deal with and I enjoyed it very much. I had to call a company that does some work for our company. It would be incredibly easy to be upset about the problem, re-explaining it again and again in higher and higher tones. And, it would be very typical, even for me, but I've been practicing something different. I explained the situation and the fact that the two people before this guy didn't solve the issue, but I was complimenting the company--sincerely, of course--because they are a great company and do excellent work most of the time, and they generally fix it when there is a problem. Nonetheless, I wanted this issue solved immediately and so I used my newfound calm persistence to see it through to a successful completion. As I was looking at quotes, I saw the one by Buckminster Fuller, and the first thought that came to my mind was taking Judo lessons when I was around 13 years old. What little I remember about Judo was that you don't fight the force or the strike, but you move with it, thereby deleting most or all of its adverse effect. Then, at the same time, you use their momentum with a few little techniques to have their intended effect turned instead on them. And, all so smoothly and almost effortlessly. I know this may not be logical, but the next thing I thought of was that phone call. I was thinking of how these service reps must learn to do Judo with the caller when they are upset, which is probably a higher percentage than they might like. I know they are trained to be calm in the face of anger and frustration. I also thought that it must be a joy for them to not have to deal with anger and frustration, but to just deal with the problem and get it solved as quickly as possible while still enjoying the day. How we deal with problems says a lot about who we are and where we are emotionally. Since I began to practice the calm persistence idea, it has transformed the way I deal with issues. Although I still might get upset, or even a bit tinkled, it is almost momentary in caparison with the way it used to be. I tell you what, that makes me feel wonderful and like a Judo black belt. How Can I Feel Good And Deal With Problems At The Same Time? Don't Focus On The Problem. . . Spread Some Joy Today--whatever problems you have today, focus on feeling good by focusing on the solutions, or at the very least, something pleasant. are yourself, and that person is not to be found anywhere. universe deserve your love and affection." You are probably not like me, but the way I've talked to myself most of my life, you would think that I was a nothing and a nobody--a loser. Not outwardly so much, for I've learned to put on the show pretty well, but inwardly, I have carried on a battle of questioning my own authority to make decisions, so much of the time thinking that what others said or thought about me was more important than what I thought and so on. I've certainly wanted to be friends with myself, and I do have to say that progress has been significant, especially in recent years. It is so much more than just being friends with myself, or respecting my own authority, it is the loving and affection for myself that I strive for now because I know how that makes all the difference in how I affect others and my capacity to love others. Here's the key to this in my mind: It is developing, or rather practicing, the art of unconditional love, meaning that I love without any need of a reason to do so, or the slightest desire to have anything in return. Of course, this is not very normal. We always seem to have some kind of agenda if we think about it clearly. And, who better to practice on that the one I spend the most time with: me. I'm not there. It isn't a success. . . yet. However, it is a now conscious endeavor now and I am paying attention and reversing much of that old self-talk to something more generous and even kind. It is working and it will be a work in progress from here out. It doesn't matter that it took me this long. It only matters that I learned it and made a decision. Who Knew? It Would Be Nice To Teach This Stuff Early. . . Spread Some Joy Today--start with yourself. Give yourself some joy! You deserve it. and wants less is richer than he that has much and wants more." belief that he has created value in his life or the life of others." This is another way to say that success is all in the mind, because it is. There is no such thing as success; or rather, everyone is a success. We can even be a success at failure, just to play with the whole concept a bit. The biggest, brightest, and most enlightening truth about this that I have found is that it is all relative; it is all a judgement call. We may think that it is others who make the relative decision and judgement, but at that we would be clearly mistaken. I have come to understand and believe that it is always one hundred percent our decision and our own judgement about ourselves. We may allow others to influence our decision and judgement, but in doing so, we are yet in control. It's just that we may decide to accept their decision as our own. Life Is An Inside Job. Totally. Spread Some Joy Today--Make a different choice, or not. You're in control. "The most elusive and desired quality of leadership is vision. Vision is the perfume of the mind." fully achieved has already defined his own limitations." A couple nights ago, I watched the movie, The Social Network about the start of facebook. It was a wild ride passion, vision, backbiting, sabotage and focused, furious work toward a grand objective of "the next big thing." I found the movie rather dark, but interesting. One of the things I noticed about the Mark Zuckerberg character was his vision. His 30% financial partner didn't share the same vision, and frankly was, in my opinion, suggesting a much more limited end result--indeed, and end result that still is playing forward with no end in sight. But Mark saw so much more. He wasn't sure what it was, but he wanted to continue to find out what more that might be. He just knew it was much bigger thing than his partner saw. Consequently, I saw his partner holding him back to protect the smaller, more realistic vision. It was at this point that their partnership changed. There were numerous opportunities for the partner to remain an integral part, and each one was rejected for a more conservative view. This kind of thing I have seen in my own life from time to time, so it seemed crystal clear to me. I absolutely don't agree with the methods taken, but the handwriting was on the wall. There were others who got the vision who came in to take the place of those who saw something smaller. I think that will always be the case in a growth business. It wasn't about making money really, it was about doing the thing and doing it big and seeing what can be done and it is still in play and evolving as we speak. I believe from personal experience of having worked in management of a number of different companies and watching so many more, that the vision of the leader of the enterprise is THE MOST IMPORTANT aspect for company growth, profitability, and expansion. Management is insignificant without it. It Requires No Skill Or Motivation To See And Do What We Already Know How To Do. Spread Some Joy Today--send a card or a special heartfelt email to a friend you haven't communicated with in a while. "Good humor is a tonic for mind and body. It is the direct route to serenity and contentment." I don't think there is anything as effective, quick and easy as humor to change a situation from one side to another. I find that I need it every day in business. I used to be an auto mechanic many years ago. In studying for that field, I learned that in an internal combustion engine, the metal parts are so close to one another and that if it weren't for a very thin layer of engine oil coating the parts, they would melt from the heat of the friction from the movement of the parts. I liken humor to the oil in the engine. It keeps things lubricated, cools, and protects. It is a protective layer that keeps ourselves from melting down. There is nothing so quickly uplifting and problem-releasing as humor. It is also something that is best when shared with at least one other person. Get a group going and it can turn into a party! In the heat of business, it is often the protective layer of humor that keeps things cool and smooth flowing. Spread Some Joy Today--Share some humor today. There is nothing like laughter to attract joy.